Have you ever heard of wheatgrass? The history of wheatgrass goes back more than 80 years to research by Dr. Charles Schnabel. The research showed the efficacy of wheatgrass for all sorts of conditions, especially those involved with inflammation and toxicity. Fast forward to today, and wheatgrass is one of the fastest growing superfoods that people are growing themselves at home. Could you benefit from growing wheatgrass at home? So what exactly is wheatgrass? What are the benefits of whatgrass and what do you need to know if you are interested in using it ? 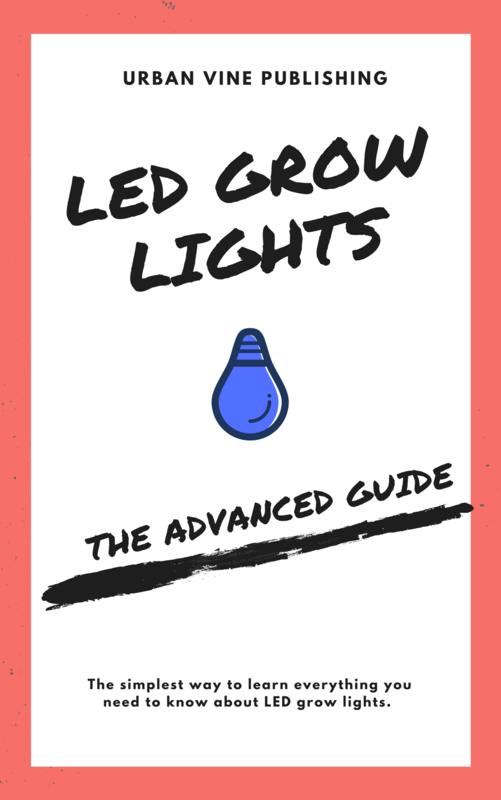 This guide is designed to answer all of your questions. For your convenience below is an easy to navigate table of contents. Interested to learn more about wheatgrass? Simply find your area of interest below, click on the link, and learn exactly what you need to know quickly! 3. Is Wheatgrass Gluten Free? 18. What is Bluebranch Wheatgrass? 20. What is Crested Wheatgrass? 21. What is Dr. Berg Wheatgrass? 22. What is Intermedieate Wheatgrass? 31. Can Wheatgrass Cause Allergy Issues? 32. How Long Does It Take To Grow Wheatgrass? 33. Can Wheatgrass Help Prevent Cancer? 35. Can Wheatgrass replace vitamins? 36. Can Wheatgrass affect fertility? 39. Can you grow Wheatgrass Indoors? 1. What is Wheat Grass? Wheatgrass (scientific name: Triticum Aestivium) is most commonly defined as the first "freshly sprouted" leaves of the common wheat plant. Commonly used as a dietary supplement, wheatgrass contains chlorophyll, amino acids, minerals, vitamins, and enzyemes. Wheatgrass can be served dry or fresh, and is often blended into juices. Consumption of wheatgrass began in the "Western World" in the 1930's experimentally. By 1940, wheatgrass was being commercially sold in a powdered form in major drug stores across the United States and Canada. "Commonly used as a dietary supplement, wheatgrass contains chlorophyll, amino acids, minerals, and enzyemes." Over the years wheatgrass has also been believed to have medicinal powers, although most of these claims have not been proven scientifically. If you were interested in growing wheatgrass, how would you do it? Check the next section to find out! One of the reasons that wheatgrass is popular is that it is quite easy to grow in a home environment, regardless of location. The wheatgrass plant can grow in between 60-80 degrees F quickly and with the quantity of light that you would get from a windowsill (no special lighting necessary). It is possible to overwater wheatgrass, but this is mainly an issue with soil based growing. - Water gently to moisten soil. Avoid overwatering to the point that puddles form. - (Optional): Cover with plastic lid that has airholes punched in it to make a "greenhouse effect". If you use a lid, make sure it is tall enough to let the grass grow a couple inches. - water daily, avoid overwatering. Using a spray bottle helps avoid overwatering. Young grass from the first harvest will be more tender, moist, and have higher nutrient content than subsequent harvests, so keep this in mind before harvesting for the first time. 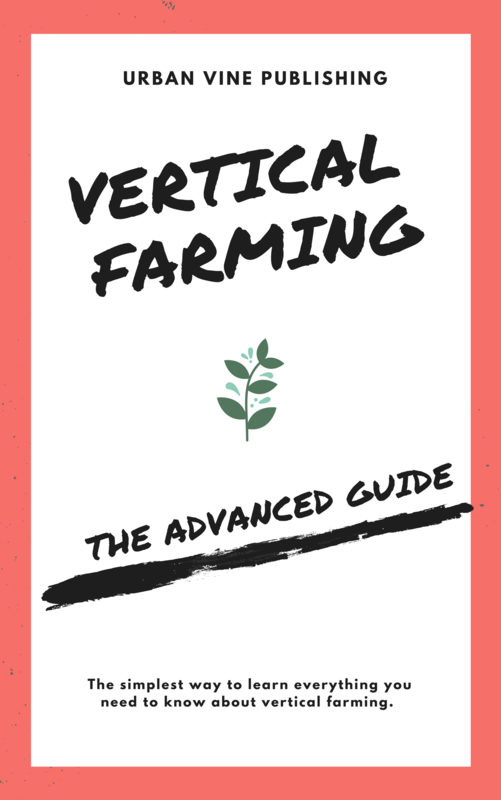 For more information on best practices with harvesting wheatgrass, continue to read on just a little longer! "Avoid over-watering with wheatgrass, you know you have over-watered if there are puddles forming in the soil." The short answer is the wheatgrass is gluten free. Pure wheatgrass and barely grass, (just the grass, with zero seed contents), does not contain the gluten protein, which is avoided by those with conditions such as Celiac disease, or those with non celiac gluten sensitivity. Looking for more of an in-depth explanation? More specifically, according to beyondceliac.org, gluten is only found in the seed kernels of the wheat plant, not its grasses. When you are growing from seeds however, there is always a risk of cross-contamination. The safest option is to only use certified gluten free wheatgrass and to always ask first with wheatgrass products. "Gluten is only found in the seed kernels of the wheat plant, not its grasses." 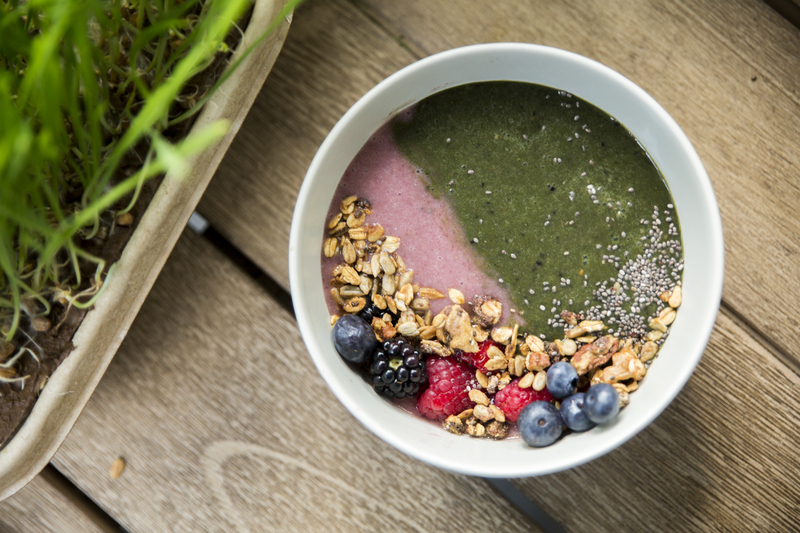 Interested to learn about the benefits of consuming wheatgrass powder? According to the Healthline, there are at least 6 science backed benefits of consuming wheatgrass. (Outside of these benefits, there are many myth-based beliefs about the medicinal benefits of wheatgrass, which we will cover later in this article). - Wheatgrass is especially high in Vitamins A, C, E, iron, magnesium, and calcium. - In one study, wheatgrass decreased oxidative stress and improved cholesterol levels in rabbits fed a high-fat diet. Additionally, supplementing with wheatgrass increased the rabbits' levels of the antioxidants glutathione and vitamin C.
Numerous studies with animal subjects, particularly rabbits and rats, have shown that that wheatgrass consumption helps to reduce cholesterol in the blood. In one wheatgrass-cholesterol study, rats with high cholesterol were given wheatgrass juice. They experienced decreased levels of total cholesterol, “bad” LDL cholesterol and triglycerides. A different experiment looked the effect of wheatgrass consumption in rabbits. After 10 weeks, supplementing with wheatgrass helped lower total cholesterol and increase “good” HDL cholesterol. These studies are promising, but large scale human studies still need to be conducted before conclusively saying how much wheatgrass truly aids in cholesterol reduction. - Some small scale studies have found that wheatgrass may help in fighting cancer cells. - Past research has indicated benefits with breast cancer cells when exposed to wheatgrass extract. Despite these findings, experts agree that the benefits of wheatgrass for helping to treat serious illnesses such as cancer still need to be researched extensively and the definitive evidence on large scale does not exist. - A population of diabetic rats given wheatgrass displayed better blood sugar control after completing the study. - Another study found that giving diabetic rats wheatgrass extract supplements for 30 days decreased their blood sugar levels. As noted, this data is from animals, but shows promise for humans. - Chlorophyll , found in high concentration in wheatgrass, has been shown to reduce artery inflammation in humans. "Another study found that giving diabetic rats wheatgrass extract supplements for 30 days decreased their blood sugar levels"
- Wheatgrass is a rich source of thylakoids, a compound found in plants that has been shown to aid in weight loss. - Thlyakoids have been shown to reduce hunger and body weight over time when taken as a supplment. Despite all of these potential benefits, there should be some caution for some people when consuming wheatgrass. For more information, be sure to check out the next section. Of course wheatgrass has many benefits, some which are described above, but it also has some drawbacks if you are not careful. What are some of these downsides? Why might these effects occur? It may have to due with the concentration that wheatgrass is often consumed at. Although non-toxic and safe to humans, wheatgrass can irritate your digestive system. Additionally, because wheatgrass is not cooked or processed and consumed raw, there is a low risk of contamination that is similar to eating any other raw food such as fresh fruits, vegetables, or meat. "Wheatgrass, if over-consumed or consumed incorrectly, may lead to mild nausea, mild constipation, headache, or loss of appetite"
If you are allergic to wheat products, it is best for you to also stay away from wheatgrass. The symptoms above can be caused simply by an allergic reaction. You may have heard about how wheatgrass can be used to feed pets. If you would like to learn how, continue to the next section below! 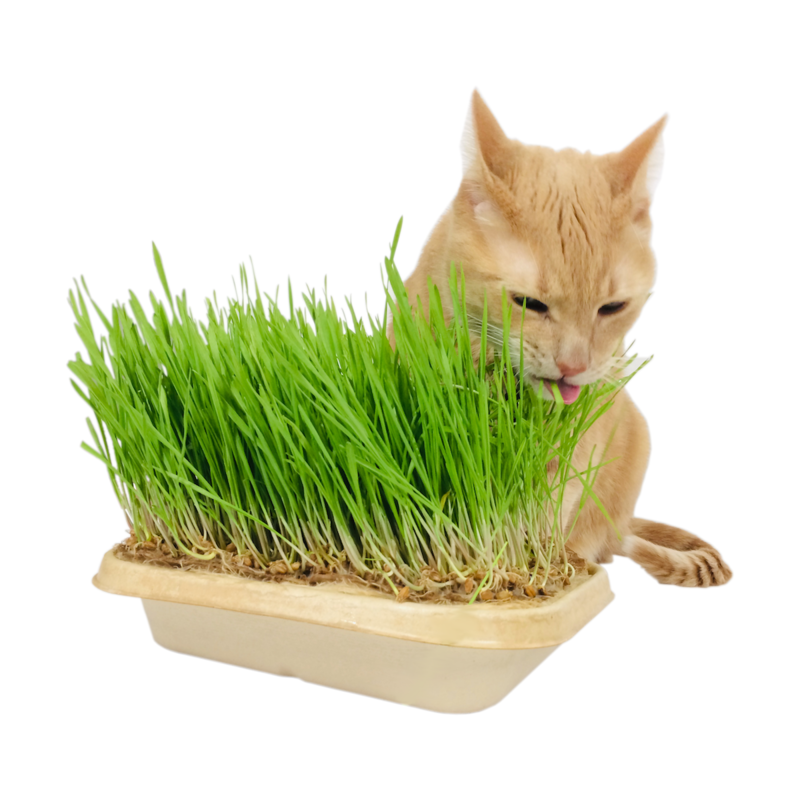 You may or may not know that wheatgrass is a very popular food for household pets like cats and even some dogs. This use of wheatgrass is so widespread that wheatgrass is sometimes referred to as "pet grass"! There is actually a major benefit to your pet eating wheatgrass. The health benefits have been well shown in house pet animals, especially dogs. - aided digestion and "hairball control"
Keep in mind, that if your dog or cat eats too much wheatgrass, just as is the case with a human consuming too much wheatgrass, your pet may get sick and vomit. "Overall, wheatgrass is a beneficial addition to your pet's diet, just don't overdo it." Overall, concludes Doghealth.com, a site specializing in dog and pet care, wheatgrass is a beneficial additon to your pets diet, just don't overdo it. At the end of the day, it is non-toxic for pets to eat, so use a similar philosophy when feeding pets as to when you are consuming as a human: start with modest amount and build up from there. Now, you may be wondering what exactly consitutes the "nutrition of wheatgrass". What exactly makes wheatgrass so nutritious? In the next section we will explore exactly that, so read on for more details! Why is wheatgrass so nutritious? As touched on earlier, wheatgrass is packed with nutrients that are crucial to human health. Keep in mind that most vegetables also have high amounts of the same nutrients that wheatgrass is high in. Consuming wheatgrass juice or wheatgrass in any other form is not necessarily more beneficial than just eating more vegetables. That being said, for those interested in the novelty of wheatgrass or for those interested in trying something new, wheatgrass can be the perfect solution that provides excellent nutritional content. "Wheatgrass is packed with nutrients that are crucial to human health"
Now, if you are interested in buying wheatgrass and incorporating it into specific healthy recipies, you will learn about these details in the sections that follow. If you are trying to figure out how much wheatgrass you need per day or how to get started with trying wheatgrass, one of your first questions will be where to buy wheatgrass. Wheatgrass can be bought at many health food shops or can even be found at many smoothie bars. When growing wheatgrass at home, you will always be getting a better deal compared to buying pre-grown wheatgrass at the store. At urbanvine.co, we sell hydroponic home growing wheatgrass kits. If you are interested in trying out wheatgrass with very low commitment, this may be a good option for you to try (more information below). For those who want to grow wheatgrass completely from scratch, you can start with just soil, seeds, and water. "When growing wheatgrass at home, you will always be getting a better deal compared to buying pre-grown wheatgrass at the store"
Again, a good alternative between growing your own wheatgrass from scratch and buying ready to use wheatgrass at a higher price, using our pre-made growing trays can be an attractive option. Once you have wheatgrass, how do you use it? One of the most popular options is making a wheatgrass juice. How do you make wheatgrass juice? We will cover this topic in the next section, scroll down for more details! Wheatgrass juice is one of the most popular forms of consuming wheatgrass. Wheatgrass juice can be made by simply grinding fresh wheatgrass and mixing with water and any other additional ingredients. How much wheatgrass juice should one drink? According to Happyjuicer.com, you should start by drinking approximately 1 oz per day and slowly rise your tolerance at 1 oz increments. If you experience nausea, headaches, or any similar symptoms you should not increase the amount of wheatgrass you are consuming while your body adjusts, according to Web MD. "You should start by drinking approximately 1 oz per day, and slowly rise your tolerance at 1 oz increments"
Blend adding frozen fruit or water for consistency. Now, for those that want to be a little bit more, direct, than juice, wheatgrass shots are another, quicker option for getting your wheatgrass fix on a day to day basis. For guidelines involving wheatgrass shots, read below! According to some sources, a shot of wheatgrass concentrate has similar nutrient levels to over 2 pounds of leafy greens! Whether or not that is true or is an exaggeration, adding a wheatgrass shot to your routine occassionally will likely have some benefit to your day to day well being. So how do you make a wheatgrass shot? In this section we cover exactly that. 3) processing the wheatgrass: most frequently this is accomplished by using a juicer or blender. If you already have wheatgrass powder in a supplemental form, you can simply mix with water and other ingredients in your recipe at this stage as well. For a full tutorial on different methods of making wheatgrass, checkout this easy to follow tutorial from wiki how. "A shot of wheatgrass has similar nutrient levels to over 2 lbs of leafy greens"
In the next section we will take a deeper dive into the health benfits of wheatgrass. If this is an area that interests you, then continue on reading below! In this section, we will take a deeper dive in to why exactly wheatgrass allows for some of these potential health benefits. According to Web MD, wheatgrass contains chemicals that have antioxidant and anti-inflammatory (anti-swelling characteristics). At the very core, this anti-inflammatory property is what drives all the other health benefits. Although Wheatgrass is most commonly used as nutritional supplement, it can have medicinal uses. "Although wheatgrass is most commonly used as a nutritional supplement, it can have medicinal uses"
In the next section, we will discuss how to eat wheatgrass if you are not putting it in a juice or powder, i.e. if you are eating it completely fresh. For best practices and tips on eating fresh wheatgrass, continue reading in the next section below! Although wheatgrass sprouts are most often used in smoothies and juices, the sprouts can be eaten raw and used in dishes like salads. Wheatgrass tends to have a stronger, distinct taste, and as a result may simply not taste good to many people. Many people ask if wheatgrass can even be digested by the human body - the answer is actually no, wheatgrass cannot be fully digested by the human body. But, before you go ahead and abandon eating wheatgrass, not so fast! Although the cellulose in wheatgrass is not digestible by humans, it is still true that humans depend on cellulose to make sure our colons are functioning properly. - The first harvest of wheatgrass will be both the most nutrient rich as well as the most tender. Thereforefore, if you are considering eating your wheatgrass fresh, you may want to use the first harvest from your growing kit or potting soil. "Although the cellulose in wheatgrass is not digestible by humans, it is still true that humans depend on cellulose to make sure our colons are functioning properly"
Now that you have more information about both eating raw wheatgrass and juicing wheatgrass, you may be interested in checking out some wheatgrass recipes. Well, look no further, more information on recipes below! Because many people find straight wheatgrass to be either a) hard to digest or b) not too tasty, there is a whole community of people developing new and exciting wheatgrass recipes for those that are interested in incorporating wheatgrass into their diets. For more ideas, check out the series of tutorials on Youtube below. Being able to visually follow the recipes can be helpful your first time around! Still looking for more? We got you covered. In the next section we will unveil the truth about wheatgrass and teeth! Wheatgrass has been used for centuries as a natural remedy to aid in tooth and gum health, both in humans and in animals. Benefits have been observed both after repeated chewing of wheatgrass over time, as well as gargling wheatgrass juice similar to a natural mouthwash. "Wheatgrass has been used for centuries as a natural remedy to aid in tooth and gum health, both in humans and in animals." Whether you have a tooth ache or not you may be interested at this point in getting a hold of some wheatgrass growing kits to try out yourself. In the next section we will discuss exactly how to get a wheatgrass home growing kit, so continue reading! The main trait of growing kits you need to be aware of is whether the growing kit is a soil based or non-soil based growing kit. Soil based: heavy, potential for more mess, need consistent watering, but most resemble the "natural state" of growing wheatgrass outside. Hydroponic: fill with water once, no soil involved so less of a mess, does not have the "feel" of gardening outstide. Here at urbanvine.co, we distribute a hydroponic based home growing kit for wheatgrass (see above). If you are intersted to learn more, check out our store today! "Here at urbanvine.co, we distribute a hydroponic based home growing kit for wheatgrass"
Interested in learning more about wheatgrass seeds themselves? Well, we don't blame you - everything starts with the seed! Wheatgrass seeds can be procured at your local gardening store or ordered online. In a pre-packaged growing kit (example below) the seeds will be already embedded in the growing medium along with other nutrients. All you need to do is add water! 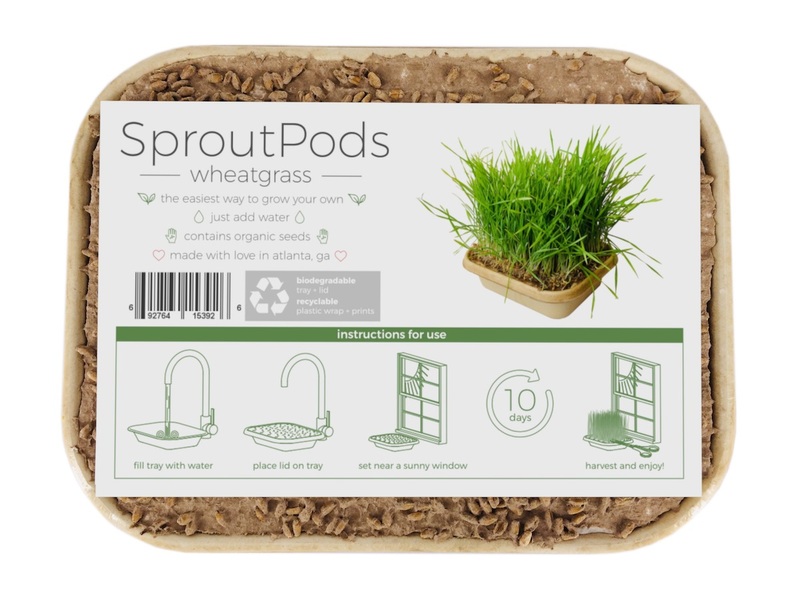 "In a pre-packaged growing kit, the seeds will already be embedded in the growing medium along with other nutrients"
Still a little skeptical on wheatgrass? Totally understood - all of us can be a little questioning sometimes, but knowing all the information is always a great solution to make the best decison. Below we discuss some of the potential dangers of wheatgrass. Overall, wheatgrass is a largely harmless plant. 1) Over-eating wheatgrass: many people are not used to eating wheatgrass, and starting by eating too much at once can irritate your stomach or cause other minor issues. For more information on the medical science behind wheatgrass, checkout the sections specifically on the science of wheatgrass above. 2) Allergic to wheatgrass or wheat or intollerant: If you are allergic to wheatgrass or wheat based products, you should stay clear of wheatgrass if you want to be on the safe side. Although wheatgrass itself does not contain gluten, wheatgrass seeds do contain gluten and therefore the grass can contain traces of gluten, especially if you are an amateur growing wheatgrass with a home growing kit. When you aren't sure about the potential health implications of your wheatgrass consumption, consult with a medical professional! "Overall wheatgrass is harmless most of the time. If you have any questions however, consult with a medical professional!" In the next section we will discuss all you need to know! Bluebranch wheatgrass is a specific type of wheatgrass that is mainly used for animal feed. It is also used for plantings in urban garden renewal projects due to its drought resistance. As far as humans consuming bluebranch wheatgrass - it is not toxic, but is not the primary type of wheatgrass which is grown for nutritional purposes. The type of wheatgrass typically grown for smoothies, shots, or other preparations for humans is slender wheatgrass. "The type of wheatgrass typically grown for humans is slender wheatgrass, not bluebranch wheatgrass." Now that we know the correct kind of wheatgrass to grow, you may be wondering.. In the next section, we will discuss. Read on to learn more about the organic status of wheatgrass! Just check the labeling and marketing claims of the product you are buying. For more information on organic wheatgrass products, click here. For a link to organic wheatgrass juice, check out this link that provides more information. "There is wheatgrass on the market that is USDA certified organic." What exactly is crested wheatgrass? Whether you have heard of crested wheatgrass or not, read the next section to find out more! Crested wheatgrass is a specific type of wheatgrass introducted from Russia in 1906 to the United States. For a home gardeners guide on growing crested wheatgrass check out this link. Again, crested wheatgrass is more of an ornamental wheatgrass variety. For crested wheatgrass seeds for your garden check out this helpful link. "Crested wheatgrass is more of an ornamental wheatgrass variety, introduced from Russia to North America in 1906"
If you are looking for a human-edible wheatgrass, you may be more interested in Dr. Berg wheatgrass compared to crested wheatgrass. For more information on Dr. Berg wheatgrass, keep on scrolling down! Dr. Berg is a popular brand of wheatgrass juice poweder. It can be easily found online on websites such as Amazon. If you are interested in growing your wheatgrass from scratch, you can find more information here. 1) Wheatgrass powder over the counter products may not be the freshest products. "Dr Berg wheatgrass is a popular type of wheatgrass powder products"
If you are interested in learning more about growing your own wheatgrass so that you can make your own powder, it can be found on urbanvine.co/wheatgrass. Interested to know what intermediate wheatgrass is? 22. What is Intermediate Wheatgrass? Intermediate wheatgrass is not a variety of wheatgrass to worry about if you are mainly interested in nutritional applications for wheatgrass. Slender wheatgrass, in contrast to some of the other ornamental, garden varieties of wheatgrass mentioned above, is a major type of wheatgrass cultivated for human use. For more details, keep on reading. Slender wheatgrass is the most "commercial" of types of wheatgrass. "Slender wheatgrass is the most 'commercial' variety of wheatgrass"
Now that you know about slender wheatgrass, you will probably want to know how to juice it properly. For more info on juicing slender wheatgrass after harvesting, read on to the next section. Although juicing wheatgrass has been covered partially in other section, this section will discuss some tips on juicing wheatgrass, whether you are a novice or a veteran juicer! - As a rule of thumb, about 1/2 cup of raw wheatgrass will be needed to freshly squeeze about 1 oz of wheatgrass juice - because the stalks are thin, very little juice is produced. - Although automatic juicers and blenders can be used, another popular device used is a hand-cranked manual juicer. This type of juicer is suited well to wheatgrass given the smaller amounts of juice that are produced. - Freshly squeezed wheatgrass juice does not need to be consumed as a shot, it can also be easily added to a smoothie or other juice, where the sometimes harsh taste is less detectable. "Although automatic juicers and blenders can be used, another popular device used is a hand-cranked manual juicer." Interested in how to harvest fresh wheatgrass, we will walk you through the step by step best practice below. Scroll down to read the full details! You will potentially hurt the ability to harvest a second round of wheatgrass. Therefore, in order to get the best results when harvesting wheatgrass, you should try to use scissors. "When you are harvesting wheatgrass, you should try to use scissors"
For a full list of wheatgras uses, check out this link. 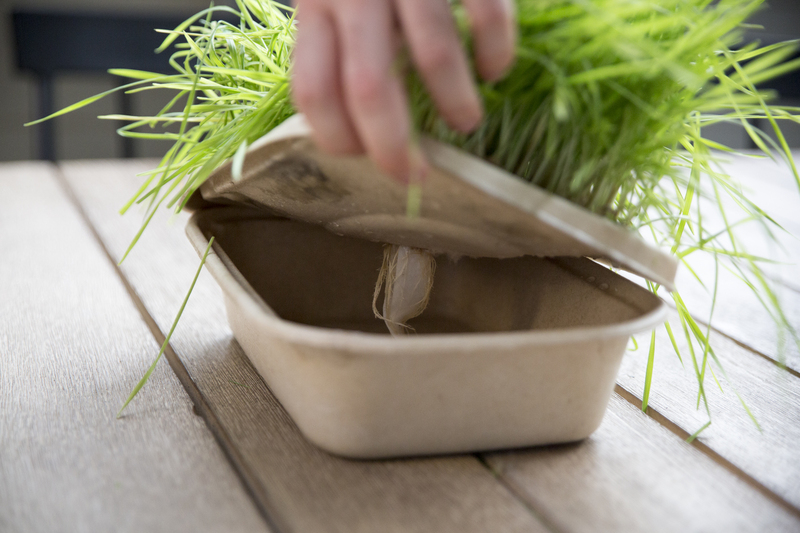 There are many wheatgrass trays on the market for those that are interested in growing their own wheatgrass instead of purchasing at health stores or online. 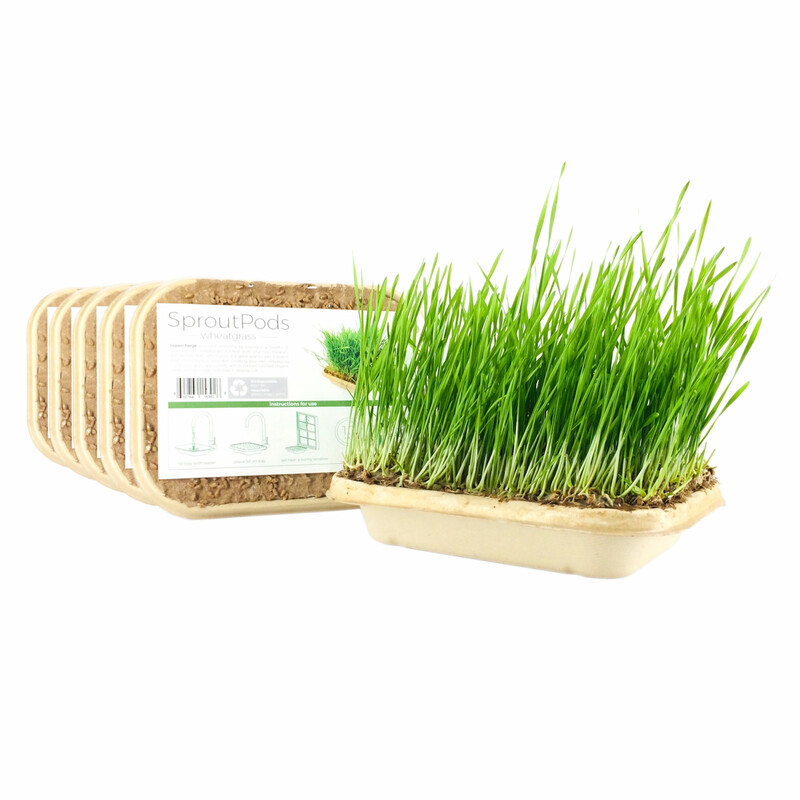 Now, as far as wheatgrass trays go, the one that we have the most experience evaluating is the SproutPod wheatgrass tray which we distribute on our site. In addition to the benfits mentioned above, the sproutpod system has one other unique feature - it is hydroponic- so only needs to be watered once and does not have any of the mess associated with growing with soil indoors. 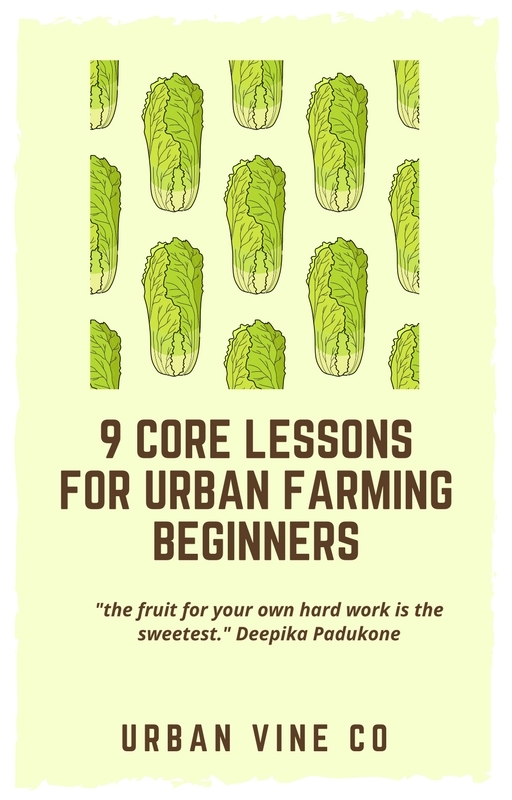 For more info check out www.urbanvine.co/store today! Wheatgrass cream is becomming more and more popular for cosmetic purposes, such as encouraging healthier skin. Traditionally, wheatgrass creams and pastes have been used to cure inflammation and help treat wounds in some cultures. "Traditionally, wheatgrass creams and pastes have been used to cure inflammation and help treat wounds in some cultures"
Next up, we will discuss how to freeze wheatgrass! Freezing wheatgrass, much like freezing many fresh products, will enable you to store it for a pretty much unlimited amount of time. It does however limit the uses of the wheatgrass (and freshness) when you are finally ready to use it. The recommended way to freeze wheatgrass is to freeze it in ice cube trays - it is the same process as freezing ice cubes in your freezer, except that the cubes contain wheatgrass! The cubes can be used at a later date to help you with dosing and quantity measurement. For example, you may want to start with one wheatgrass ice-cube in each smoothie that you make. For a deeper discussion on the benfits and draw backs of freezing wheatgrass cubes, check out this forum! Although it would be a stretch to say that just starting to eat wheatgrass alone is the key to losing huge amounts of weight, incorporating wheatgrass into your diet and using it to replace other parts of your existing diet can be a healthy choice. Much of this has to do with the low sugar and plant-based nutrients found in high quantities in wheatgrass. Check out the beginning of this article for more information on the specific nutrients that can be found in wheatgrass and how they can help assist in healthy lifestyle benfits such as reduced weight. If you have a pre-existing allergy to wheatgrass or wheat-based products, then, of course wheatgrass will likely cause you some allergy issues. If however, you do not have any pre-existing allergies related to wheat products or wheatgrass itself, then wheatgrass exposure will not trigger any new issues on the spot. Much like many issues pertaining to wheatgrass safety, use common sense and most of the time you will steer clear of trouble with wheatgrass, it is for the most part, a harmless plant, and this is why it is enjoyed by a wide variety of animals and humans. If you are experiencing allergic symptoms with wheatgrass and do not know of any pre-existing allergies, it is best to check with your doctor or a medical professional before continuing to use wheatgrass. "If you do not have a pre-existing allergy to wheatgrass or wheatgrass related food-products, you should not have any allergy issues with wheatgrass"
Now, if you are interested to learn how to grow wheatgrass, and specifically, how long it will take, read on to the next section! In most conventional wheatgrass growing kits, it will take about 7-10 days to grow wheatgrass to the length where it is desirable to be harvested. Wheatgrass is a very hearty plant that does not require excessive amounts of light or water, so it will grow quicker than you might expect! Discussing the effects of wheatgrass on cancer is a very delicate subject. Cancer is a terrible issue in todays society, and to say that wheatgrass can seriously effect cancer would be irresponsible. For a thorough run-down on medical research relating to the potential benefit of wheatgrass on cancer in experiments on animals (not humans) scroll up to the top of this article! The recommended daily starting dose of wheatgrass is approxiamtely 1 oz of wheatgrass juice purely distilled. This equals approximately half a cup of raw, freshly harvested wheatgrass. Once your body is used to this amount you can slowly work your way up in dosage until you get to your desired dose. For a more in depth discussion of how much wheatgrass do you need, check out this run-down: "How much wheatgrass do you really need?" Similar to many claims about wheatgrass and what it can or cannot do, always be cautious about claims that sound too good to be true. It is not true that wheatgrass can replace every single vitamin supplement out there. It is true, however that wheatgrass is very high in nutrient content and be a good addition to a healthy diet. Additionally, the fact that wheatgrass nutrients are consumed as part of the wheatgrass plant, and not extracted nutrients synthetically made or formulated into pills, may be beneficial, according to several research studies, like this study from Harvard health. For more information on the nutritional content of wheatgrass, keep on scrolling down - there will be specific figures and percentages (see #46)! There are some in the wheatgrass enthusiast community that claim that wheatgrass can have beneficial affects on fertility. It is important to note that the link between wheatgrass and fertility has never been scientifically proven by a credible source. According to this article from Livestrong, folic acid has been assoicated with fertility in woman and wheatgrass is high in folic acid content. Folic acid, however, can be found in many vegetables and other foods, so the jury is still out on this topic. Spirulina is a fellow superfood to wheatgrass, and has been reported to have many similar benefits. If you are triyng to determine which one is a better choice, it is fair to say, according to most in-depth articles on the subject, that the nutritiional content is similar in Spirulina and Wheatgrass, although there are some minor differences. The question of wheatgrass powder vs juice mainly comes down to you personal preference as far as preparation, as well as your daily routine and how that affects your preparation of your wheatgrass. If you are interested in stock-piling your wheatgrass in bulk, powder may be a better option, than storing as a juice. As far as the health benefits go, juice and powder will give you similar results for the most part. On the pricing side of things, wheatgrass juice will almost always be far more expensive than wheatgrass powder, which is more processed and less valuable. For a more in depth discussion of wheatgrass powder vs wheatgrass juice, check out this analysis from Vitamin World. Because of the properties of the wheatgrass plant, it is very easy for beginners to grow effectively, even on their first try! So if you think you may want to try it yourself, nothing is holding you back! Check out www.urbanvine.co/store for more details today! As touched on above in the section above, wheatgrass is a very low maintenance plant. Of all the claims of wheatgrass beneits, the benfits for hair health are probably one of the more tenuous out there. There is limited data that wheatgrass improves hair health, although some people have reported benefits. For more info, check out this post, which discusses reported benefits for both hair and skin health. There are many ways to incorporate wheatgrass into your routine, but one way that we have not discussed yet is.. wheat grass tea! As has been extensively covered throughout this section, wheatgrass is extremely easy to grow! The easiest possible way, even more so than the rest, is to get a wheatgrass kit. - Growing wheatgrass, indoors and outdoors! 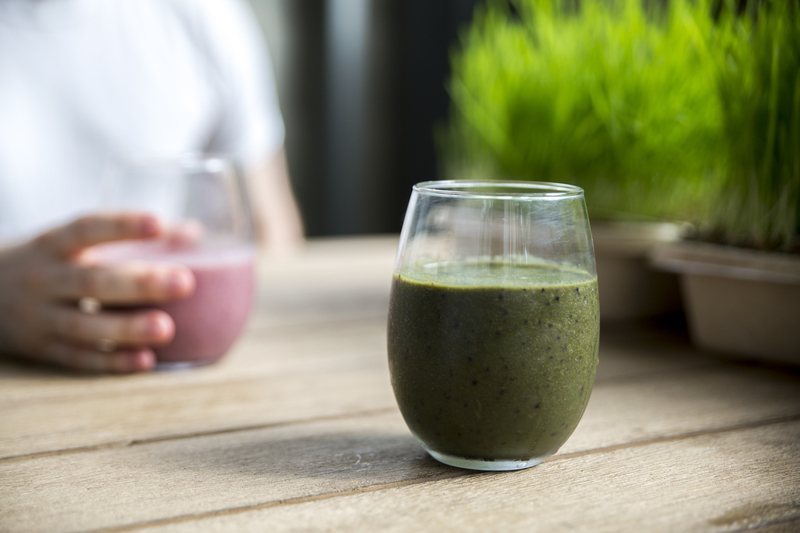 Smoothies are potentially the most popualar way to use wheatgrass. The simplest and easiest way to use wheatgrass smoothies is to add wheatgrass to an existing smoothie recipe. Some wheatgrass users have reported improved sleep. See below a basic table displaying wheatgrass nutrition facts summary. This particular table compares wheatgrass nutrition contents between juice and powder forms. If using wheatgrass fresh doesn't make sense to you, you will need to figure out the best way to store your wheatgrass. For more in depth discussions on wheatgrass storage, visit the link below. 48. How Much Wheatgrass Do You Need For A Shot? As mentioned above, about 1/2 cup of wheatgrass freshly squeezed will equal about 1 oz of pure wheatgrass juice. 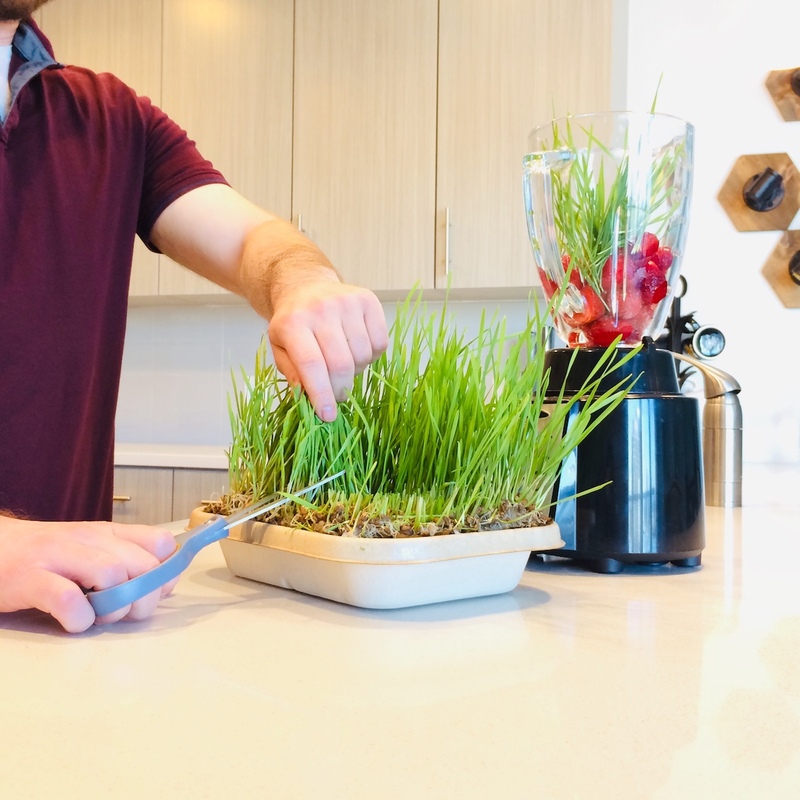 If you are using a grow try similar to our SproutPod wheatgrass grow tray, one tray will provide enough fresh wheatgrass for several 1 oz shots of pure wheatgrass juice per tray. For a complete run down on research related to wheatgrass and diabetes, check out the beginning of this article. 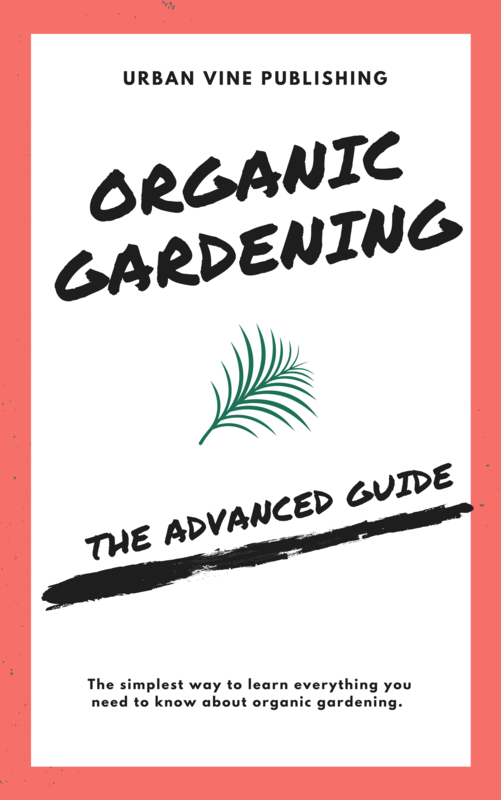 Well, that's it for our completely full guide to wheatgrass, if you have any further questions, feel free to check out one of our e-book guides below OR perhaps you would like to try your hand at growing your own wheatgrass! Below you will find a link for a low cost, easy to start home wheatgrass growing kit. Click the "Sproutpod" listing below to see details!